Stanley tells Mattie she is pregnant, having detected the changes in her hormones that would indicate as much. She orders him not to say anything about it to anyone else. She and Leo head off to visit the Elster House in the hopes of getting more of Leo's memories back to help the conscious synths. Leo is looking for some sort of diary containing information from his father. 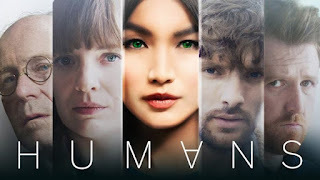 Niska continues her hunt for the "Synth Who Sleeps" and comes across a man offering to take her to him, saying he had found the synth and rescued him from a facility he was locked up in. The man claims this synth is able to both sleep and dream, something other synths aren't able to do. Mia has made it to Westminster and calls Laura to say that she is being kept under observation by the Dryden Commission. Laura is harassed by some locals that try to assault her and prevent her from going to meet Mia at the Dryden Commission. Stanley intervenes and begins fighting them off. When Laura observes him displaying anger outside while fighting off the men, she decides not to call for emergency services. She confronts Stanley when he comes back inside, having realised he is conscious. He continues to play the role of an orange-eyed synth but when Laura tries to use a toothpick to remove his contact lens, he retaliates by dragging her upstairs. He tells her there are more of "us" that are watching the house, saying "they" had intercepted the orange-eye that was sent to her house and Stanley took his eyes. He reveals that something is supposed to happen at 2PM, the same time Mia is supposed to speak at the Dryden Commission, but is confused by something having gone awry from the plan. Stanley warns her not to reveal anything or her children will be killed. Leo eventually discovers the journal and continues to regain more of his memories from before he went into the coma. Leo struggles with the existential crisis of having been a boy, then part synth, and now just a human again. Mattie assures him that he can do or be anything he wants and should look forward. Unbeknownst to them, they are being followed by Audrey who is piecing together who Leo is. Stanley drives Laura to the Dryden Commission where many protesters from both sides have gathered and are being held back by police. Laura is reunited with Mia, who can immediately detect that something is wrong with Laura, but Laura is unable to say anything more on the matter due to Stanley being in the room. Max tries to release Agnes from her cell but discovers that Anatole has already released her. Agnes has actually set off on a suicide mission. She has a bomb strapped to herself which she intends to detonate at a Day Zero memorial at 2PM. Back at the Dryden Commission, Mia is able to detect that Stanley isn't actually an orange-eye but once the meeting begins, Mia must give her speech to the Commission and answer the various questions Laura asks to give her the platform to speak. Stanley has a box-cutter hidden in his hand and intends to kill the leader of the Dryden Commission at 2PM. But Mia's speech moves him so he opts not to kill the Dryden Commission. However, Agnes has set off the bomb and this leads to the building being evacuated. Stanley warns Laura that he hasn't done what he was told to do and that others will be coming for her family. Stanley says that Anatole never told him that humans could be kind, shocking Mia, who knows Anatole. Mia is arrested in the ensuing commotion but Stanley is able to leave with Laura. Max sadly closes the gates of the synth commune, having seen what Agnes did on the news. Niska ends up captured by synth-traffickers while searching for the "Synth Who Sleeps". Niska is able to escape from captivity and seems to find someone who does know about the Synth Who Sleeps but she is forced to shut herself down in order to prevent being recaptured so she can be taken to him. Laura and Stanley get home and are reunited with the family. They try to leave but Anatole and other synths arrive before they can get away. Anatole demands that Laura choose between Sam's life or the life of a random elderly human man she has never met before that they have taken captive to prove a point. Laura ultimately choose Sam to die, prompting Anatole to share that he was bluffing in order to prove that humans will always view themselves as superior to synths. After this, Sam and Stanley decide to leave with Anatole. The Dryden Commission intend to active the "Basswood" protocol following Agnes' act of terrorism. Mattie reveals to Leo that she is pregnant with their child. Humans airs on Thursdays on Channel 4.